Day 2 of the Elena Kagan confirmation hearings. Today, Kagan gets to speak. Yesterday, the late Supreme Court Justice Thurgood Marshall was on the hot seat. Kagan clerked for Marshall and described him as her hero. Marshall, the civil rights icon of desegregation in schools and first African American appointed to the Supreme Court in 1967 during the Johnson administration. He retired in 1991 two years before his death in 1993. 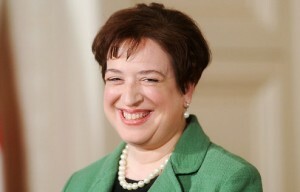 If confirmed, Kagan will be the fourth woman to serve on the U.S. Supreme Court. The first, Sandra Day O’Connor was appointed by President Ronald Reagan. Even with an impromptu firing of the four star “Runaway General” Stanley McChrystal; and an almost seamless replacement (and in management terms – demotion) of General David Petraeus from head of Central Operations Command to Afghanistan operations — oil spill still ravaging the Gulf, Congress hits a brick wall on extending unemployment benefits — the President still found an opening for financial reform and to chalk up a point for getting 90% of what the administration requested. But so far, there seems to be debate about “victory” for financial reform — at least in the politico and pundit world. – “missed opportunity” (to protect investors) per Arthur Levitt, chairman of the Securities and Exchange Commission from 1993 to 2001, and an adviser to the Carlyle Group and Goldman Sachs. See ABC News breakdown here. Clayton LeBouef and I have been chatting up Rod Serling recently. “The Twilight Zone” and other works by Serling were light years before their time even compared to today’s standards for television programming. In what human relation areas have we entered a Twilight Zone? Race. Religion. Class. Culture. Immigration. Wall Street. The environment. War. Peace. If you have any favorite “Twilight Zone,” “Night Gallery” or Rod Serling memories, do share. In John Lennon’s “Beautiful Boy” song he writes “Life is what happens to you while you’re busy making other plans.” Or lately, the adage resembles the Frank Sinatra tune “That’s Life.” One life lesson is there’s really no excuse for not practicing your art if that’s what you want or love even in a environment where the marketing plan or “gimmick” is more essential than the talent. I’ve always believed in the vocal talent of Dawn E. Robinson. [The “E.” was for Eliza until she adopted her late father’s name as her professional signature.] Dawn is one of those lights under the basket. Or maybe it’s a “waiting for Godot” – someone has to come along to recognize or find your talent. But this is an ADD world. The elevator pitch is down to a twit. Not everyone gets a “Susan Boyle moment.” Even Boyle, in some ways, fits a marketing plan and gimmick with the familiar narrative of “A Star Is Born.” It may take a lifetime with its baggage of bad breaks –losses, foreclosures, and other contemporary spills — to make an artist recognize what he/she really loves and where she/he needs to be to get centered again. Dawn’s tracks cover Blues Alley, opening for Nancy Wilson, the festival circuit, performing with gospel great Richard Smallwood, backup vocals for Maysa (of Incognito fame), and a ton of other gigs live and in studio. Dawn will be giving her first full concert in eight years Sunday, June 27 at 4 PM at the Shiloh Baptist Church (1500 9th Street, NW) in Washington, DC. 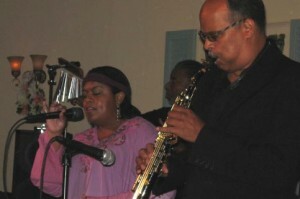 For many, the sanctuary brings the music back to mission. The concert will be a mix of sacred and secular music. How did Dawn get away with this in the Baptist church? That’s a question for our Eclectique Interview. When did you realize you wanted to be a professional singer? When were you sure of your ability? I always wanted to sing – I never wanted to do anything else. I still have the LP (remember those?) “Sleep, Baby, Sleep” that my folks played when I was in the cradle. 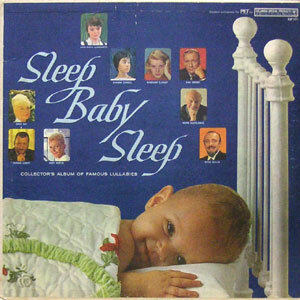 It had singers on it like Rosemary Clooney, Bing Crosby & Diahann Carroll. I was told that I sang along with the record (not with words, of course) and that I had a fit if they played Side B before Side A. 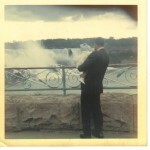 As for when I was sure of my ability, I don’t know – how do you know you can breathe? I just knew it was there. The question in my head when I was a kid was always when would I get to sing somewhere other than in the house basemen. Interestingly enough, I used to try out for solos all the time in catholic school and never got chosen. I tried out for the talent show when I got to Alice Deal Jr. High and Lois Nicholson was handing me solos all the time. What’s on the program for the June 27th concert? Well, I hate the cliche “there’s something for everybody” but there’s something for everybody. I have some classical pieces, spirituals, familiar hymns, a couple of show tunes and contemporary gospel songs, some of which are originals. The two show tunes I’ve wanted to do for a really long time, but never got the chance before. There’s a lot of uncertainty right now. The past two years have been the most challenging of my life. So, the songs I chose are all reminders to everyone – and myself – to hold on, hang in there and don’t give up. That, too, sounds cliche but faith is all we’ve got – without it, there’s no reason to get up everyday. How did you negotiate bringing secular music into the Baptist church sanctuary? I didn’t really negotiate anything. The concert is part of Shiloh’s “Music Appreciation Weekend” so I was told that I could do different styles of music that I like to do. I’ve attended a couple concerts at Shiloh before that included secular pieces. Who’s on the program and why? 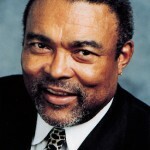 Everett P. Williams, Jr. is an awesome pianist and accompanist. We’ve known each other a long time – I had a featured spot in one of his concerts at Shiloh a few years ago – but this is the first chance we’ve really had to work together. He will accompany me for the first half of the program. Dan Reynolds is ALWAYS the first call I make for a keyboard player; we’ve worked together in various bands, including his own, since 1985. He’s not only a great keyboardist and composer, he’s a great listener which is essential for a singer. Blues Webb will be on drums. He’s a versatile drummer. He’s done church gigs, jazz gigs, go-go, funk – Blues can play it all. James “JT” Brown is on bass. I’ve heard JT during church services, but this will be our first time really working together. He has worked with a lot of folk and gospel artists. All of these cats are versatile players. I’ll also have Karen Arey Johnson on vocals. We haven’t had a chance to sing together since Ellington, so I’m really psyched to have her on board. And I have Psalm 150 who are fabulous. When did you form Psalm 150? It’s kind of a long story. Most of us sang in the same church choir years ago. But you know, things happen, people move on, whatever. In October 2006 I was in the awkward position of having to form a choir for my mother’s funeral. After a SOS phone call to Thomas Tyler (Shiloh’s special assistant to the pastor for worship) and some emails went around, these singers came back together – it had been something like 6 years since we had sung as a choral unit. But they had my back that day and I am forever grateful to them for that. In 2007, Johnny Butler III got us all together again, added a few more singers and named us Psalm 150. What three gospel artists do you admire most? What three secular artists do you admire most…. and why? Well, for me, there’s Richard Smallwood, Richard Smallwood and Richard Smallwood!!! I’m not honestly a big gospel music fan – there isn’t much gospel music in my library. But I can say that I have purchased every Richard Smallwood album on either LP, cassette tape or CD over the years. I think I was in junior high when I first heard “I Love the Lord.” Richard is truly blessed; he has the ability to balance the gospel message with musicality. So much of gospel music leans one way or the other. But Richard’s songs balance the two equally. I am usually moved as much by the harmonies he chooses and his vocal arrangements as I am by the lyrics in his songs. And because he’s a great singer, he knows how to write for singers. Richard Smallwood is awesome! Now, it’s impossible for me to name just three secular artists! I mean, I could name you three right now and name you another three an hour from now and a totally different three tomorrow. But the solo artists I gravitate most to; I can count on to put a smile on my face when I hear them; that make me sit up and take notice, I’d have to say Michael McDonald, Rachelle Ferrell and Sarah Vaughan. For groups, I’d have to say Earth Wind & Fire (with Maurice White on lead vocal) and The Temptations – the original lineup and when Dennis Edwards joined the group. I started studying voice at Duke Ellington School of the Arts. I also studied at Oberlin Conservatory of Music and Shenandoah Conservatory of Music (now Shenandoah University). Who was your favorite vocal teacher or is that a touchy question? Why? It is a touchy question – LOL. You don’t really want to say one teacher was better than the others. I think there’s always a political process to matching vocal students with teachers; you don’t always get the one that’s best for your voice. 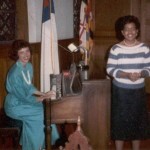 But I will say that my voice grew the most with Linda Burgard at Shenandoah. That’s partly because she didn’t prohibit me from singing genres of music other than classical. I didn’t have the artistic tug-of-war with her that I always had with my previous teachers. I was the girl singer with the big band at Shenandoah and worked on weekends with some of the jazz faculty. She attended a few of the gigs – of course she had a few notes on how I might have approached a certain note or phrase better – but overall she said that she liked what she heard. The first song Wendell gave me to learn was Horace Silver’s “Song for My Father.” He put me in jazz ensemble. Though he was certain that none of the voice faculty would ever come to a jazz concert, he listed me on the program as “Percussion.” I had my little percussion things to play inconspicuously in the back, then came out front, sang my set and went back to playing percussion. It was a hoot! Wendell saved my life. They say “practice makes better.” Even when you don’t have a gig or concert, how do you stay in vocal shape? I sing a lot in the car – I love to drive and sing. I collected my favorite songs to sing on my iPod playlist and sing along with it in the car. I recently discovered that my apartment has decent acoustics. But I can sing as loud as I want to in the car. If someone were to give you a record deal today, and the choice between gospel and secular music, which would you pick? I would choose secular music – I like to move my neck too much. Seriously though, I’m a lot freer singing secular music. Gospel music is about ministry. When I’m singing, I’m thinking more about the lyrics and what they might mean to somebody out in the congregation. And there are certain gospel songs I’m just trying to get through myself without totally breaking down. With other genres – contemporary jazz and funk, especially – I can listen more to what the guys are playing around me and sing off of that. It’s just more fun. The main thing is that I don’t want to be pigeon-holed. I didn’t want that in college and I don’t want it now. I’m not an opera singer; I’m not a gospel singer; I’m not a jazz singer; I’m not a pop singer; I’m not a blues singer. I just sing. I grew up hearing everything from classical to show tunes to Motown to rock to gospel. As you know, at Oberlin we listened to a lot of Afro-Cuban music, Salsa specifically. I’d like to do some of that. In the last 10 years, I’ve gotten interested in contemporary Hawai’ian music. I’d love to do some of that. I like a lot of different music genres; and I’d like to be a singer who is true to whichever genre I am singing at the moment. What do you want the congregation to take away with them when they leave Shiloh after the concert? I hope everyone is inspired and uplifted; the congregation, the other singers, the band, me too. I hope we all feel a little better about our situations when we leave than we did before we came in. I hope we all feel like hanging in there and holding on for a while longer. 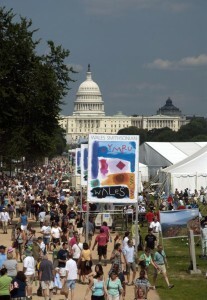 For more information and full schedule, visit the Smithsonian Folklife Festival website. A schedule of events is posted here.